After years of talks and disputes, the seven states in the Colorado River Basin came together on Tuesday to back a Drought Contingency Plan (DCP) to use less water during shortages. Negotiators for the seven states sent the plan to Congress, which would have to enact legislation to implement the plan, and met a key deadline imposed by federal water managers. Las Vegas could face up to a 10 percent cut in its water right if Lake Mead falls below a shortage elevation, a reduction water managers said they are prepared for. 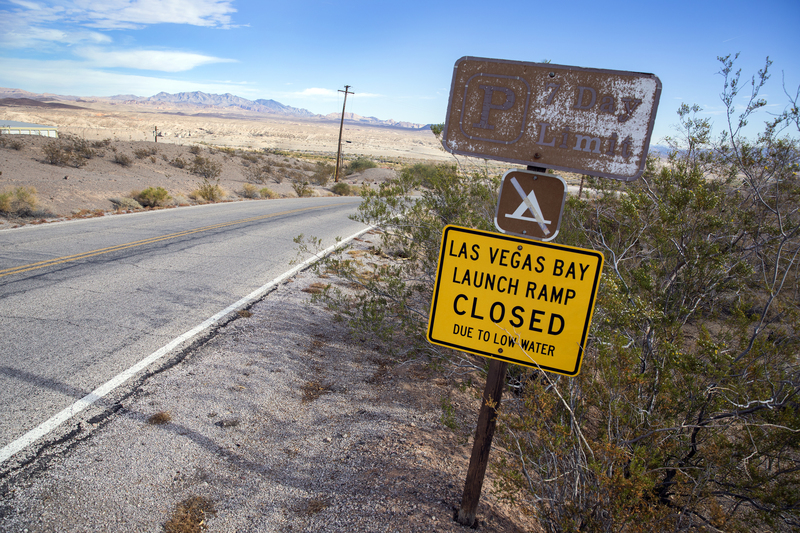 Facing a nearly two-decade drought, the states started negotiating the plan five years ago as a roadmap for taking further cuts to their allocations of Colorado River water when Lake Mead falls to critical levels. Lake Mead, the nation’s largest manmade reservoir, stores water for Arizona, California and Nevada. In recent years the reservoir has became a symbol of drought, with a chalk-colored “bathtub ring” showing how much the water line has dropped. In August, the Bureau of Reclamation, the federal agency charged with managing the river’s complex system of reservoirs, had projected a shortage at Lake Mead starting next year. To prepare for it, Reclamation Commissioner Brenda Burman said the states had to complete a drought plan by the end of 2019. Multiple deadlines came and passed. But the states were finally able to agree on specifics of the plan Tuesday, the most recent deadline. During a press conference, Burman said she commended the “basin states and key water contractors” on reaching an “important milestone,” arguing the plan will lessen the risks that the water users face. Under a 1922 compact that divided up the Colorado River, Nevada received the smallest share since, at the time, no one imaged Las Vegas would grow to the size it is today. Las Vegas gets almost all of its water from the river. But because of conservation and water recycling, Las Vegas and the cities around it use only about 80 percent of their entitlement. As a result, the water authority has said it is prepared for an up to 10 percent cut required by the shortage plan. On Tuesday, negotiators met in Phoenix to sign and send a letter to Congress with copies of the plan. But despite the announcement, the plan is not yet done and has received sharp criticism from the river’s largest water user. Certain provisions in the plan require congressional approval. Those provisions are needed to clarify the priority for water in Arizona and California. If approved by Congress, the states will sign final documents. The Imperial Irrigation District, an agricultural powerhouse nestled in the corner of Southern California, is a vocal opponent of the plan. Arizona Republic reporter Ian James reported that on Tuesday, the district’s board president gave a press conference slamming the plan because it failed to secure federal funding for the Salton Sea, where an environmental crisis is unfolding. 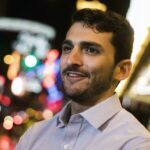 “As champagne is being prepared for debauched self-congratulation in Phoenix, remember this: The IID is the elephant in the room on the Colorado River as we move forward. And like the elephant, our memory and rage is long,” said Jim Hanks, who leads the district’s elected board. John Entsminger, the general manager of the Southern Nevada Water Authority, is scheduled to testify at the hearing. On Tuesday, he called agreement on the drought plan a “historic” day. He said negotiators have briefed their delegations and see a nonpartisan path through Congress. Had the negotiators not agreed to the plan by Tuesday, the governors of each state would have been required to submit written comments to Reclamation advising the agency on how to move forward with its own federal drought plan. 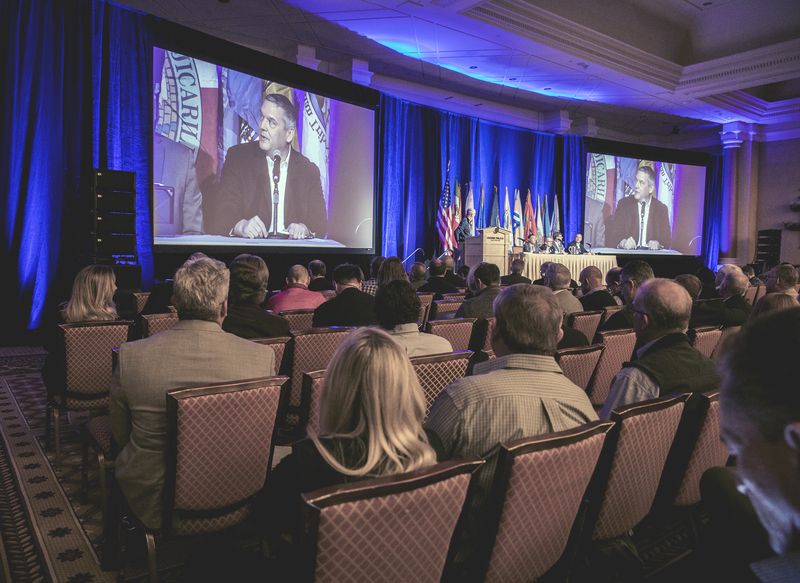 Earlier this year, Reclamation initiated a process, through a Federal Register notice, asking for comments. That process was terminated today. For decades, the federal government has deferred to the states to determine how the river should be managed. But with the prolonged drought and a shortage looming, Reclamation had threatened to take away some of that autonomy. The threat motivated the states to complete the plan, which would avoid the uncertainty, untested legal arguments and potentially a new layer of politics that would likely come with the federal government imposing its own rules. With above-average precipitation across the West this winter, it is less likely that Reclamation will declare a shortage for the snowpack-fed Colorado River starting in 2020. But officials with the agency reminded water users that one good year was not enough to solve the basins’ problems. The Colorado River faces overuse, a problem worsening with climate change. During the call, Fulp said that more action will be needed to reduce the hydrologic risks. In keeping with the negotiations, which revealed disputes between the states and their water users, the final plan’s objections from the river’s largest single user, the Imperial Irrigation District, cast a cloud over an otherwise celebratory moment. The district had wanted federal funding to mitigate a public health crisis unfolding at the Salton Sea, a manmade lake fed by runoff from agriculture. As the district has cut down on irrigation to send water to cities like San Diego, the lake has shrunk, exposing hazardous particles to the air in one of the state’s poorest communities, The Desert Sun reported in a five-part series in 2017. In an earlier statement, a Reclamation spokesperson applauded California for finding a way to come to an agreement by March 19. 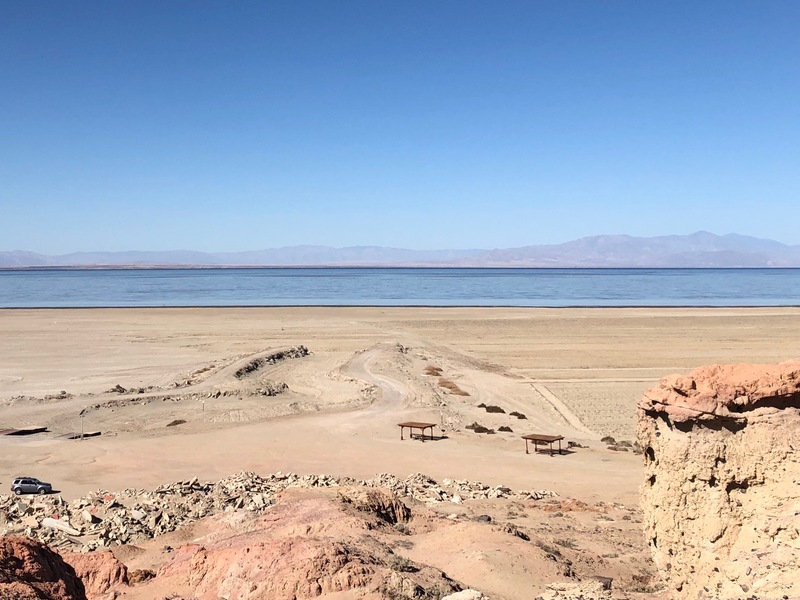 The statement said that the Imperial Irrigation District could have approved the plan “as they continue to work with all the relevant local, state, tribal and federal agencies involved in Salton Sea management efforts,” or sign on later. But rhetoric out of the district is making that look unlikely. Updated on March 19 at 5:17 p.m.: This story was updated to paraphrase a quote from Bureau of Reclamation Commissioner Brenda Burman.